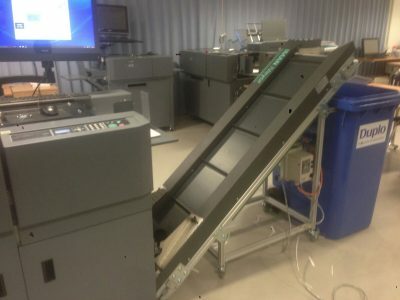 Waste is collected from the bottom of the 3 knife trimmer and transferred on to the flighted belt. 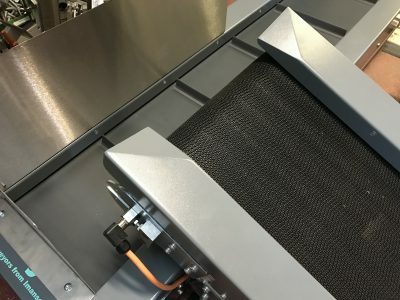 The side apron prevents waste from falling of the side the waste is then transferred at 40 degrees up the conveyor were it is dropped into the bin. 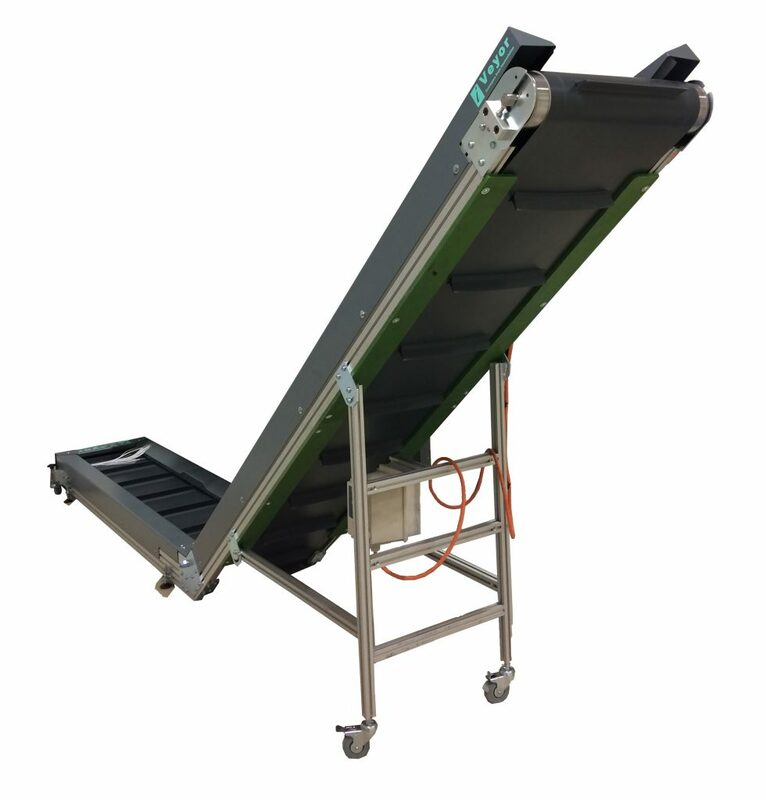 Standard conveyor will drop into bins 1200mm and less. 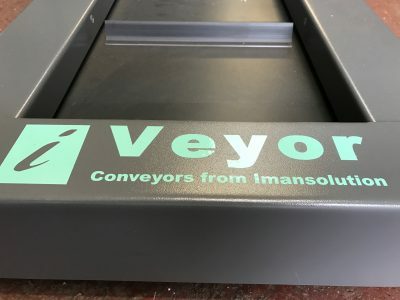 Custom conveyors can be built to order.